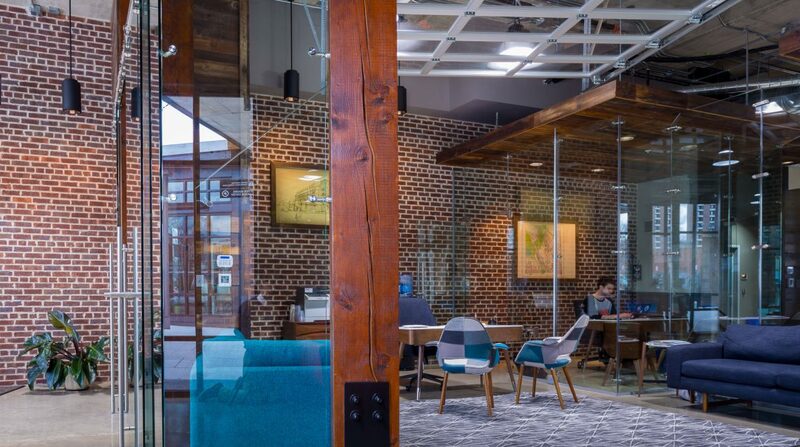 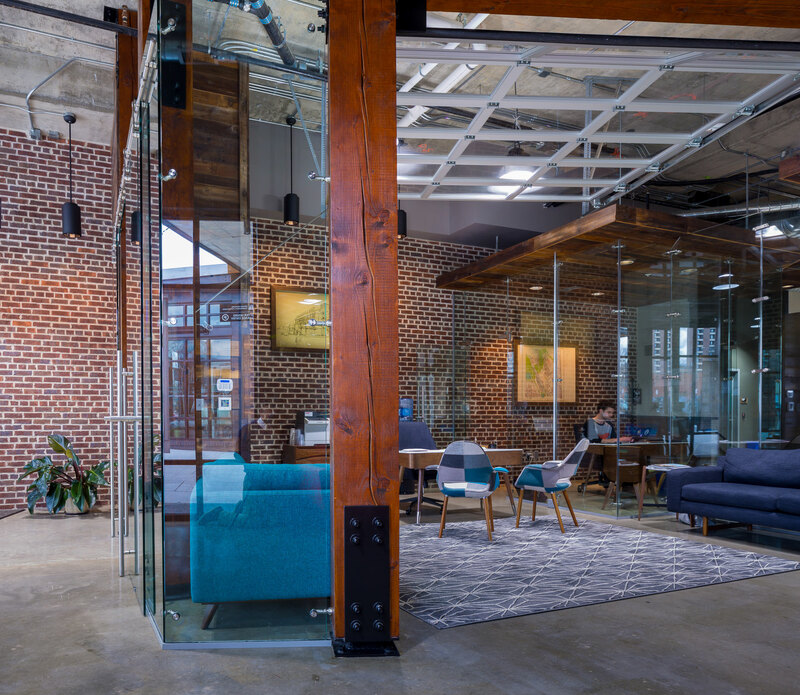 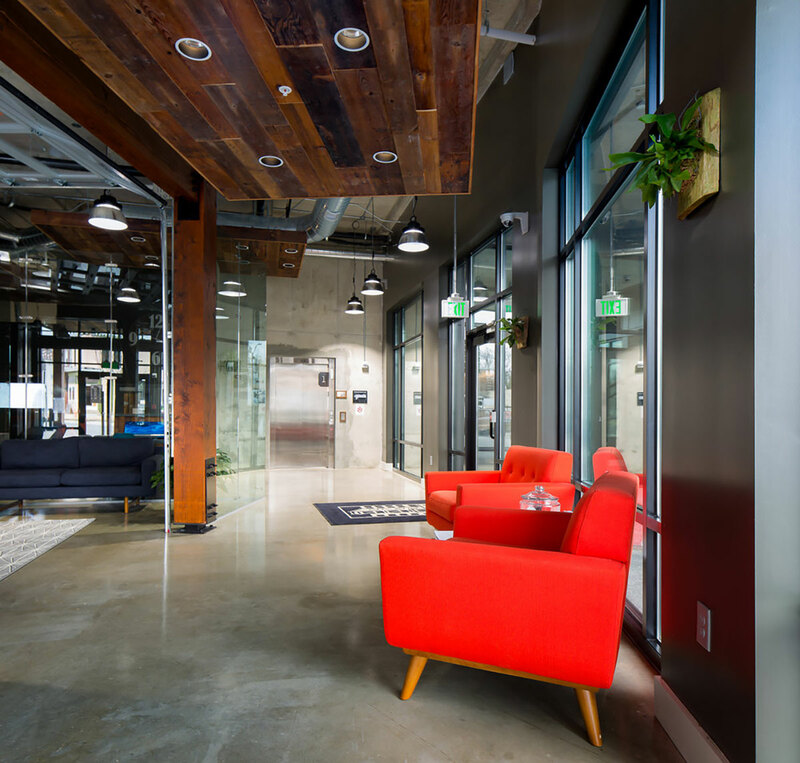 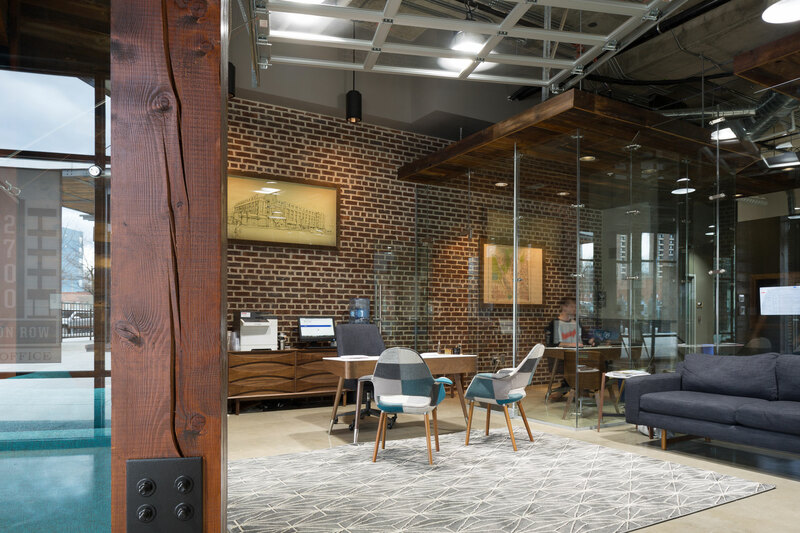 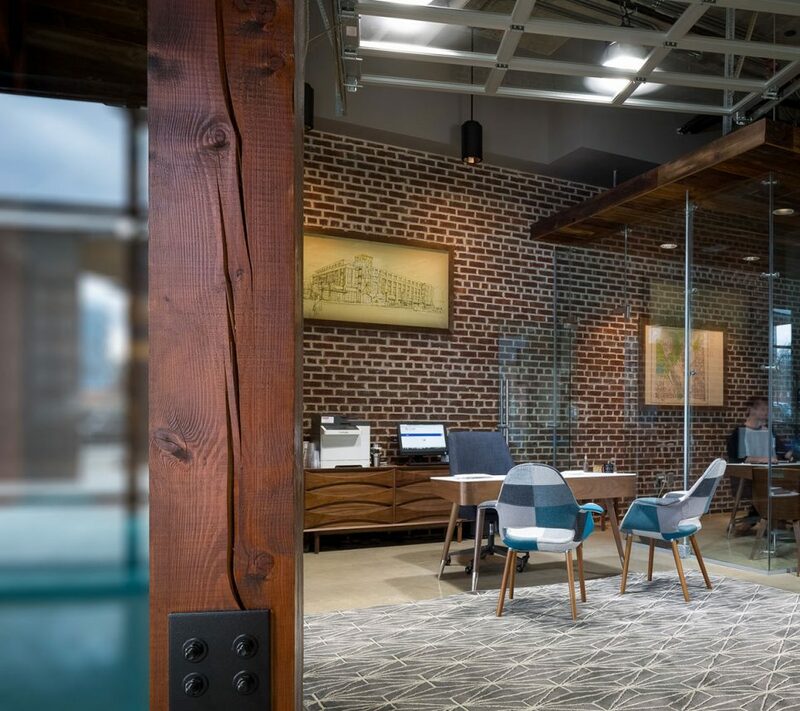 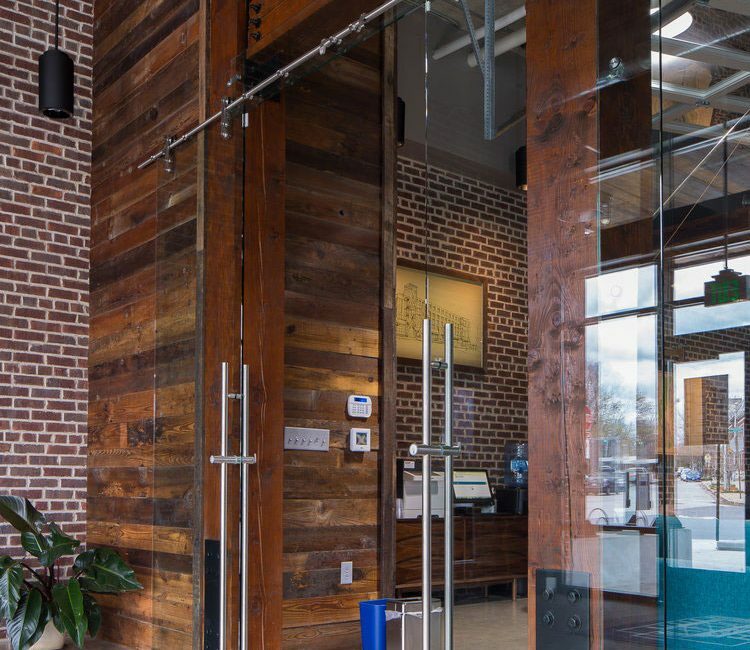 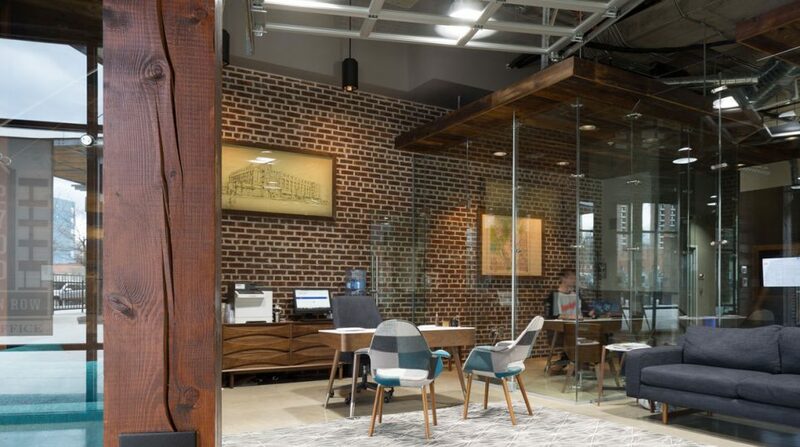 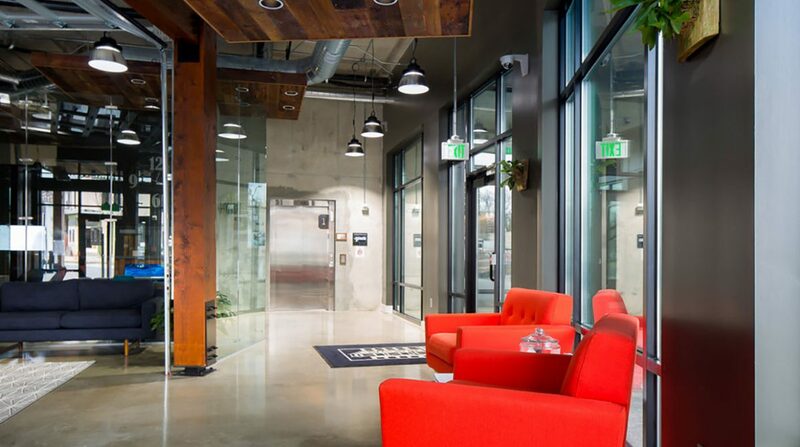 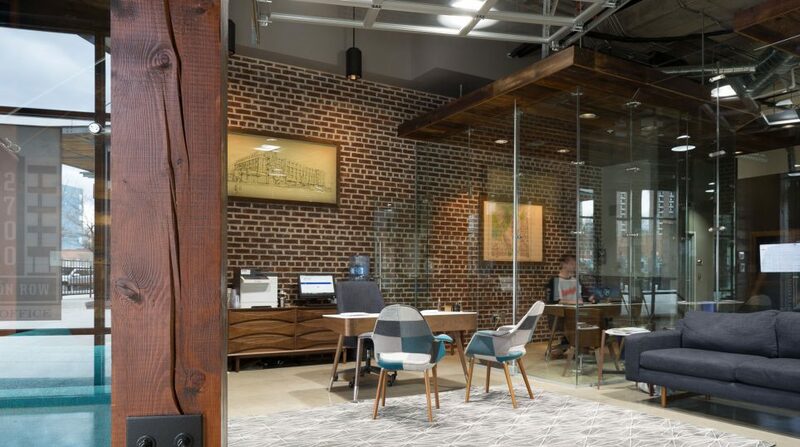 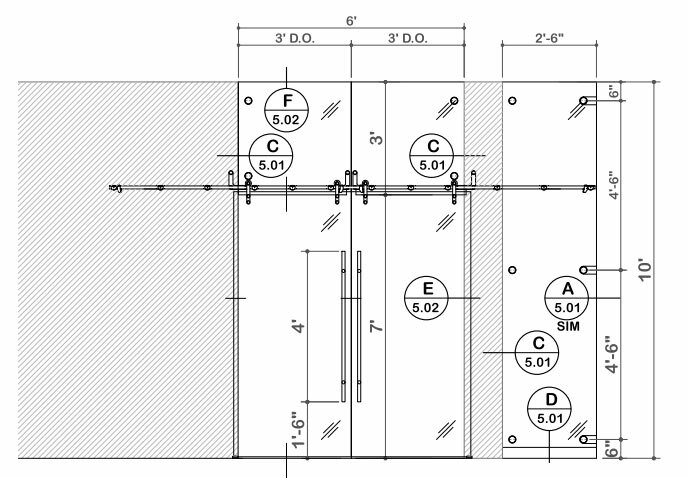 The Elite™ Free Standing Glass Partition system is the system used in Remington Row. 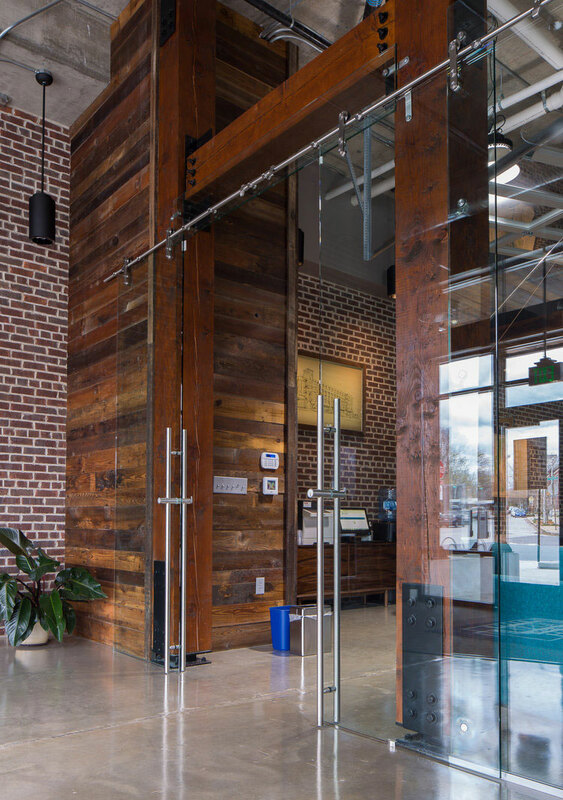 The 10” glazing system was integrated with the heavy timber beams and columns. 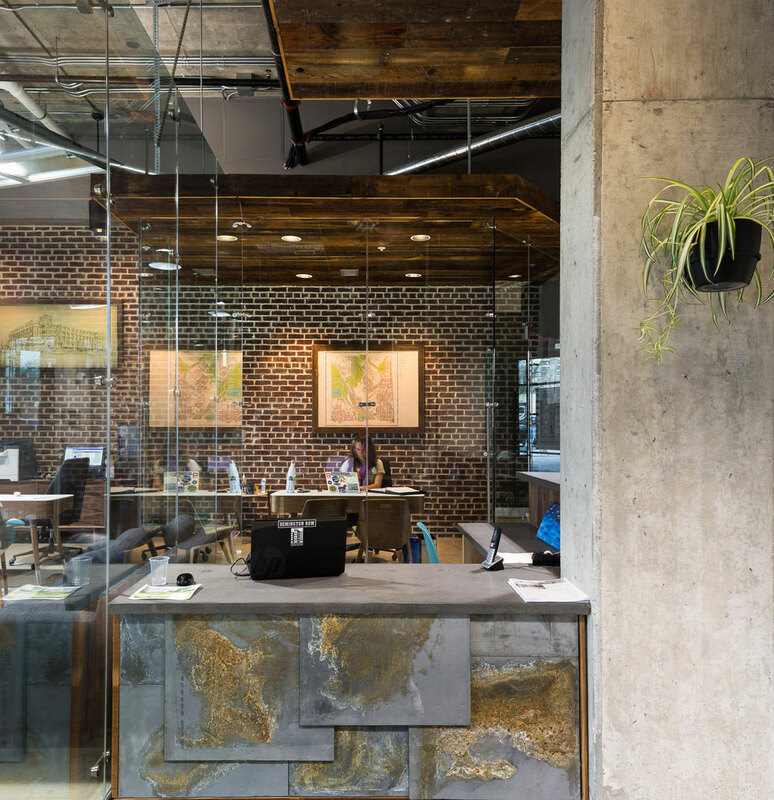 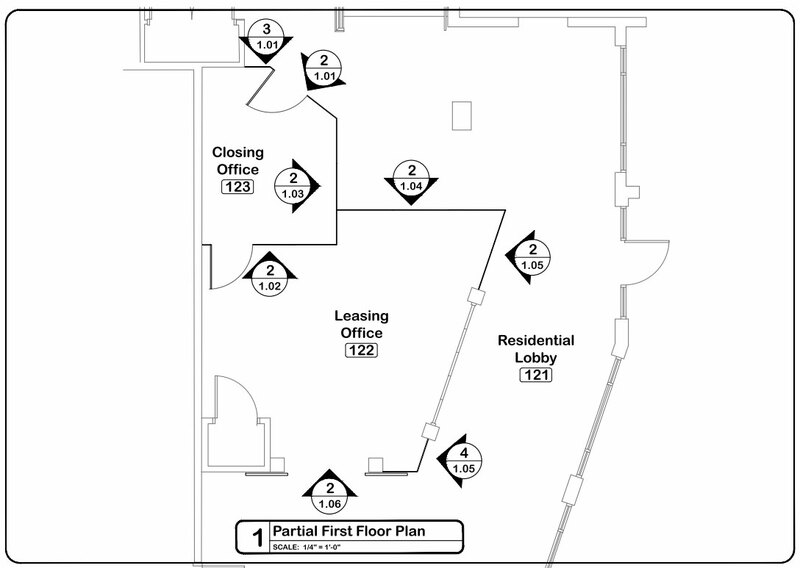 A typical rectangular office layout was not used, but instead the glazing partitions met at acute and obtuse angles. 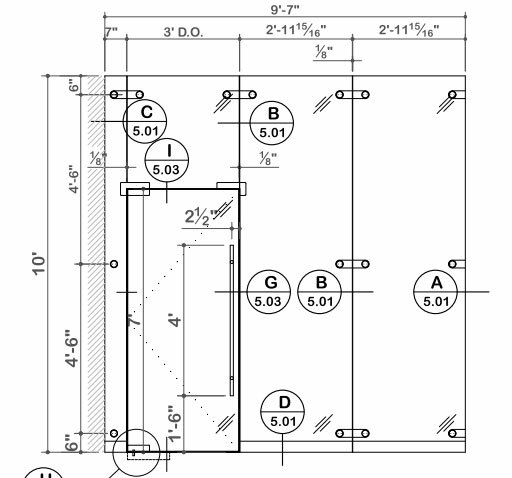 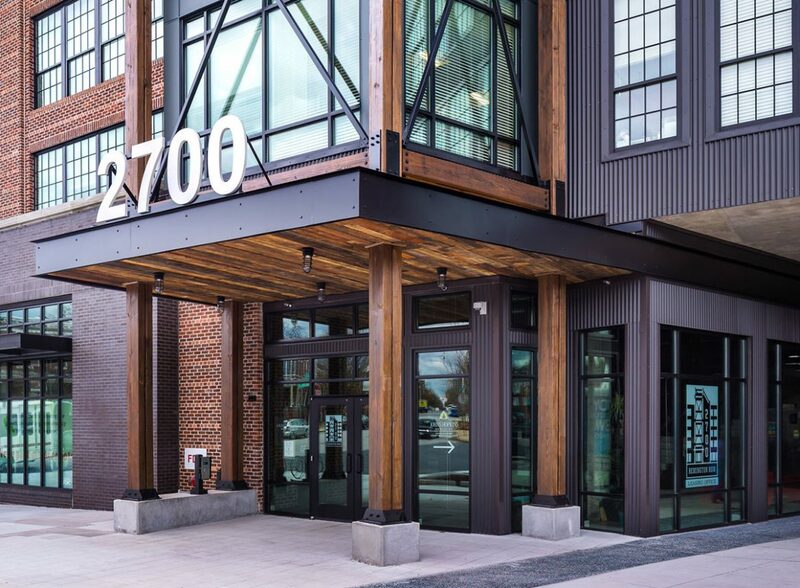 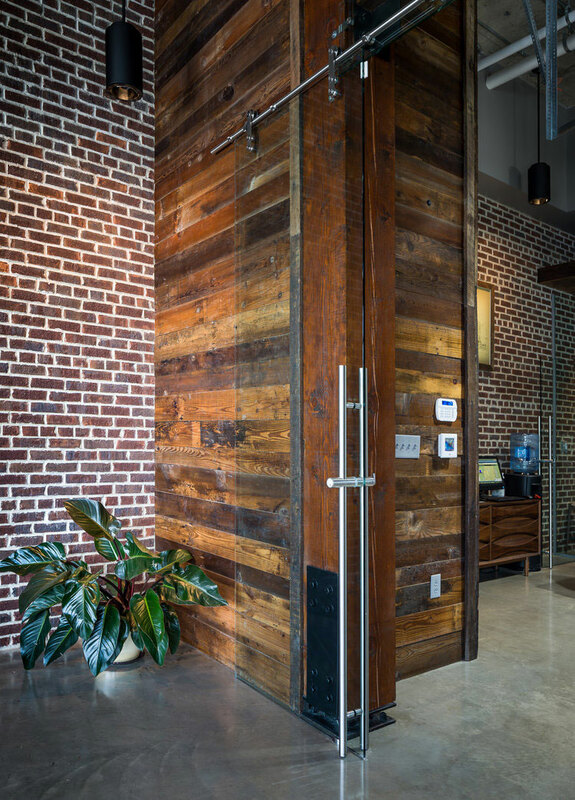 The Leasing Office utilizes a pair of Barn Sliding Glass Doors with 60” Locking Ladder Pull handles. 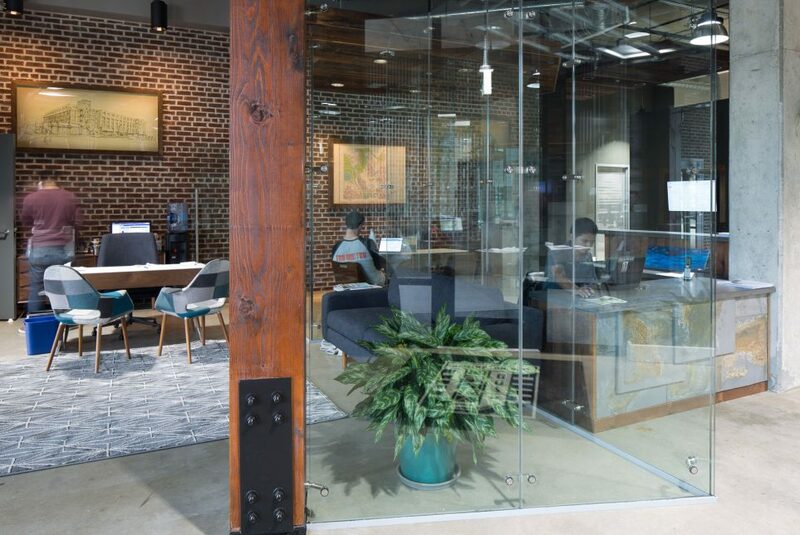 Entry into the Closing Office is with a Pivot Frameless Glass Swing door. 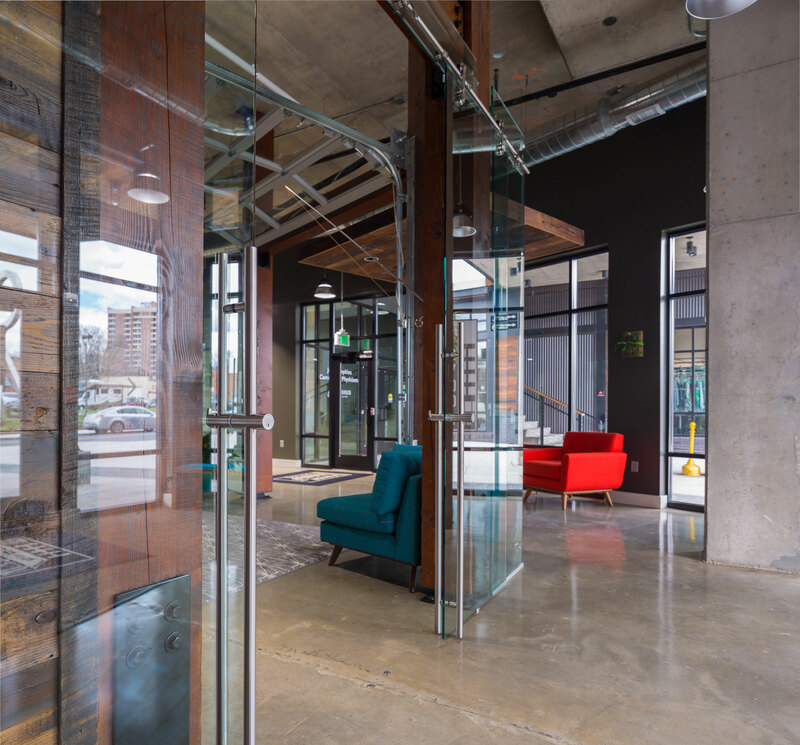 The Aluminum Framework was finished with the RAL 9006 Metallic Silver Powder Coating, while the Door Fittings and hardware had a brushed stainless steel finish.